The Earliad: "The Game of Thrones"
One of my colleagues at work hand-crafted an Iron Throne for Corporate Challenge. I knew immediately it was just the right scale for Captain Picard. 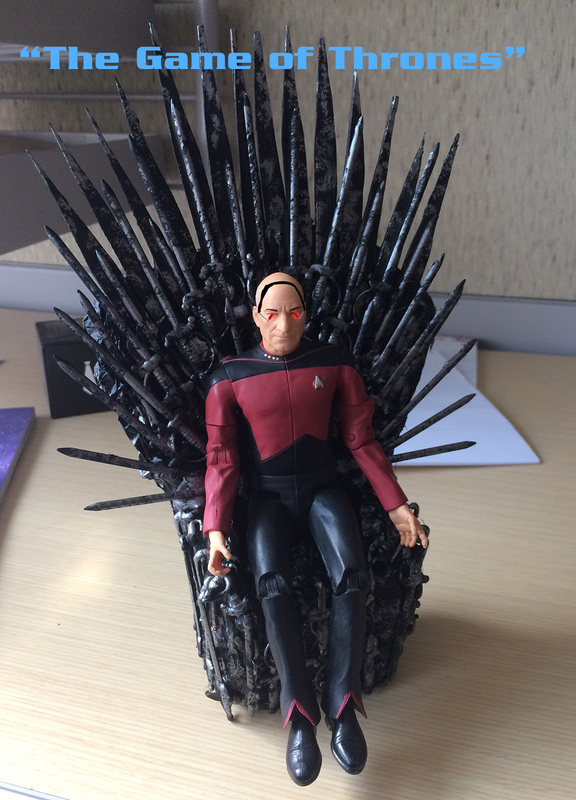 One bad pun later, and we have an homage to one of the cheesiest episodes of Star Trek: The Next Generation as well as A Song of Ice and Fire.